Guillermo del Toro's creature-feature love story makes a splash as a modern masterpiece. 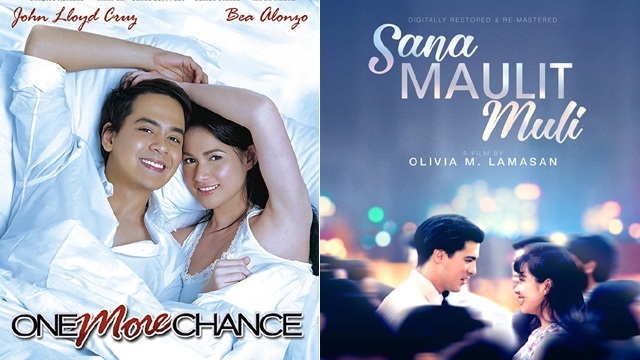 (SPOT.ph) Love comes in many forms, shapes, and sizes. In monster films and creature-features, even Frankenstein finds a Bride. The Shape of Water is not the first film to romanticize monsters, nor is it the most original in terms of plotline, but what makes this particular film special and wonderful is the utmost care that monster movie maestro Guillermo del Toro shows in depicting this story. Del Toro has made a career out of his very distinctive point of view and style, layered atop classic or well-known movie genres. Look no further than his fantastical Pan's Labyrinth, or his own version of a superhero movie with the Hellboy films, or his take on Japanese kaiju films with Pacific Rim. 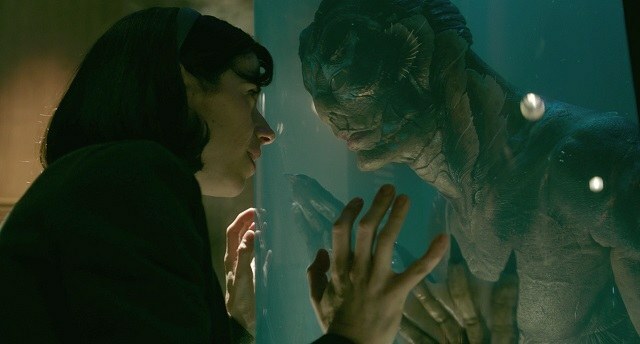 It's through his monsters and his whimsically dark style that del Toro communicates to the world, and The Shape of Water is another excellent entry in his ouevre, this time focusing on a love between two outsiders. 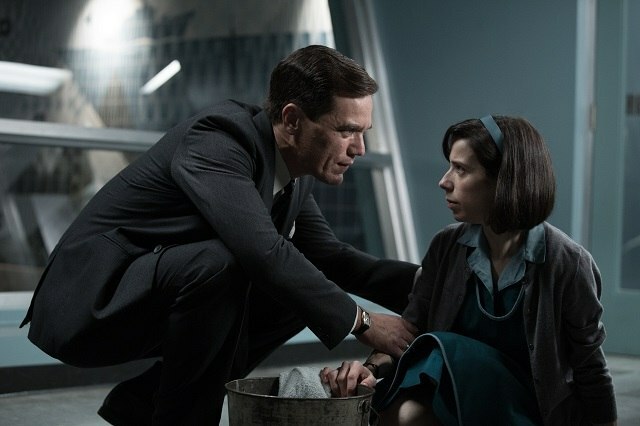 Elise Esposito (Sally Hawkins) is a mute woman who works as a janitor in a top-secret government research laboratory. Set during the Cold War in 1962, the U.S. is busy dealing with the Soviet Union, and is seeking any and all means to get ahead. This includes capturing and housing a mysterious aquatic creature—an “Amphibian Man” (Doug Jones) who may hold the keys to advancing the current technology. Elise visits and tries to understand the creature, eventually forming a strong bond with it. When Elise finds out what the government is planning to do with the creature, she seeks the help of her fellow janitor and friend Zelda (Octavia Spencer), and her gay neighbor-friend Giles (Richard Jenkins) to break the creature out. Meanwhile, a brutal Colonel (Michael Shannon) wants to torture the captured creature, and eventually dissect him to find out what he can about its supposed powers. 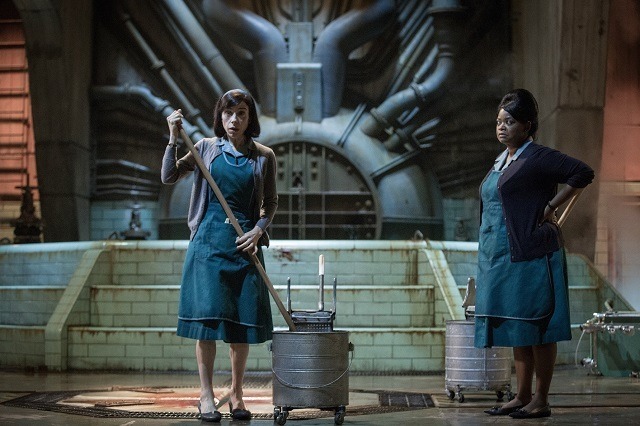 As the opening lines dictate, The Shape of Water is a tale of love and loss, and the monster who tried to destroy it all. As with del Toro's previous films, the craft on display is extremely beautiful in the most gothic and strange ways. Its very heavy sea-green color palette does not detract from the impeccable design of this film. From Elise and Giles' apartments being so full of personality and joy, to the haunting hallways of the laboratory, the production design is exquisite and so perfectly done. Even the simplest of bathrooms becomes a place of a most romantic nature when del Toro gets his hands on it. The lighting is done beautifully, really showcasing the sets and the actors all at once. The look of this film is so distinctly del Toro, but it's also so masterfully done that it seems fresh and unique. What sets Shape of Water apart from del Toro's previous films is that this might just be his most affecting and touching. Where Crimson Peak struggled in its love story is where Shape of Water succeeds. The former struggled with the weight of del Toro's love of gothic horror, which completely overshadowed the forbidden love in that film, but it seems like he learned his lesson with the latter. Instead of burying it with genre tropes and more creature moments, he keeps it lighter and less terrifying. This is the purest of love from two people trying to find someone in the world to love them without worrying about their significant other judging them for their disabilities or differences. 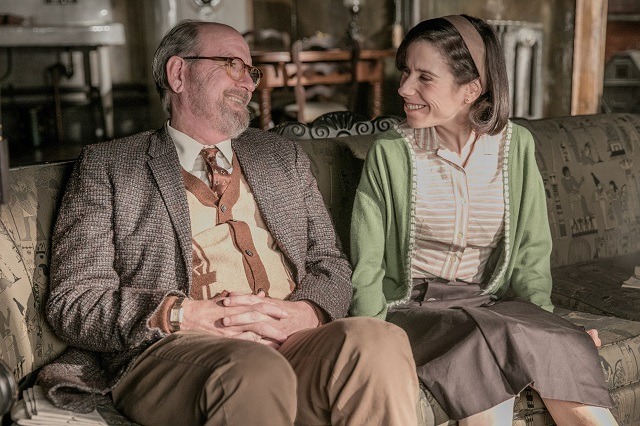 You have Elise and the Amphibian Man's love story as the focus of the film's message of finding love among outsiders and people shunned by society—a hopeful message, if anything—but then you also have Richard Jenkins' Giles, a gay man at a time where being gay was barely even talked about. You also have a black character (Spencer's Zelda) trying to be respected and live above what is being pushed on her as a black woman. 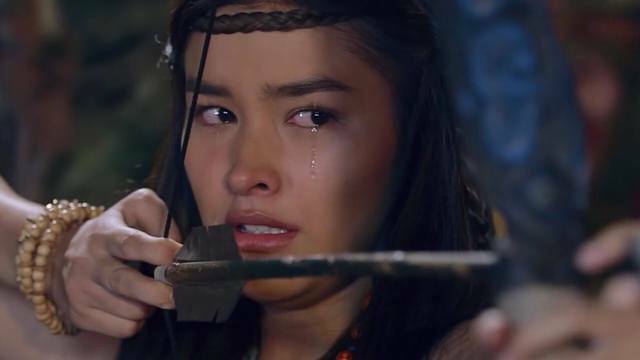 This film isn't just a love story, it is a celebration of the other, a championing of the outsider. With del Toro at the helm (he wrote, directed, and produced, per usual), it feels more special, as you just know he feels so strongly about this, and it shows. The film's biggest struggle is making the Cold War story relevant rather than just a setting, with the Soviet scenes sometimes feeling insignificant to the actual story, but they never overstay their welcome, getting back quickly to the meat and bones (and heart and soul) of the story with Elise. It helps, too, for del Toro, that his story is told by this wonderful cast. Hawkins has already perfected the purely nice and caring character, but here she acts with zero dialogue, only showcasing what she can do with her face and hands, and it's a stunning performance. Jones brings to vivid life the Amphibian Man like he's brought to life so many of del Toro's monsters, yet here with a touch of romance and understanding. Shannon is a frightening villain, and Jenkins is a lovely, touching character finding his place in the world. Michael Stuhlbarg also plays a character who could have easily been forgotten under a different actor, yet he manages to make you feel for such a questionable character. The Shape of Water is a masterpiece, whether or not it is original enough or not. It's very clear how much love del Toro has for this story and for this work, and for cinema in general. Elise and Giles live above a cinema and movies play a significant role in Elise's life, with the best sequence in the film being a love letter to golden-age musicals. From the directing, to the acting, to the craft, everything works perfectly in this film to tell this wonderful fairytale about outsiders finding someone in the world, giving hope to just about anyone watching that maybe one day, you too will find a misunderstood monster to dance the night away with. The Shape of Water opens in cinemas nationwide on February 21.